← STEELO Performing for Big Birthday Bash at Seattle Center on 9/8! Steelo Squad back at it! 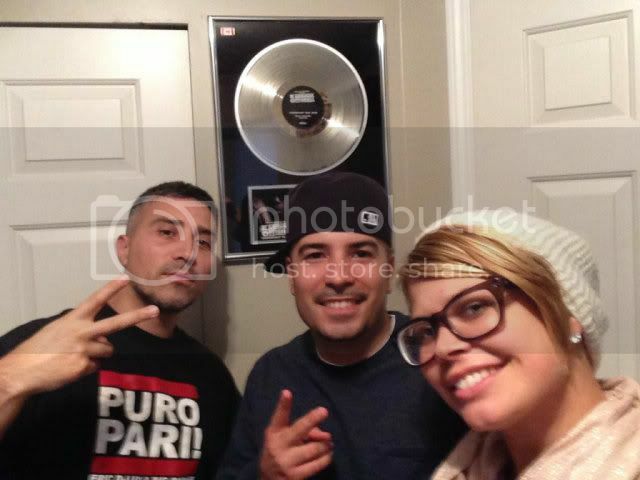 Here’s a pic of DJ Kemo, A.Uno, and Jennifer Newberry in the studio in Vancouver, BC. The sales plaque in the background is Kemo’s plaque for co-producing the hit song “Dangerous” – Kardinal Offishall feat. Akon. Can’t wait for you all to hear what we got! This entry was posted in Uncategorized and tagged A.Uno, Akon, BC, DJ Kemo, Jennifer Newberry, Kardinal Offishall, New Music, Steelo, Studio, Vancouver. Bookmark the permalink.